The nine public lectures, co-presented by the Linda Hall Library Foundation and the Library, have something to broaden everyone’s understanding of science, engineering, and technology. The Linda Hall Library is the world's foremost independently funded research library devoted to science, engineering and technology. An exploration of the beauty found in nature will be just one of the programs in an eclectic Spring 2016 lecture series at the Linda Hall Library, the world's foremost independently funded research library devoted to science, engineering and technology. The lecture series ranges from the scientific education needed to become a crime scene investigator to the life of a Victorian engineer who built the first tunnel under a river and the first propeller-driven, ocean-going iron ship. On April 14, Richard Prum will present “The Evolution of Beauty,” at the 14th Annual Paul D. Bartlett, Sr. Lecture. Prum is the William Robertson Coe Professor of Ornithology, Ecology, and Evolutionary Biology at Yale University and the recipient of a MacArthur Genius Grant in 2009. He will share his lifelong fascination with feathers, structural coloration and the evolution of birds. The Bartlett lectures are presented by the Linda Hall Library, in association with the Yale Club of Kansas City, the Harvard-Radcliffe Club of Kansas City, and the Princeton Alumni Association of Greater Kansas City. E-ticket registration for the public will open at 9:00 a.m. on Thursday, March 24. A limited number of seats will be available. The nine public programs, co-presented by the Linda Hall Library Foundation and the Library, have something to broaden everyone’s understanding of science, engineering, and technology. Spring programs include Richard Garriott de Cayeux on March 16, who will share his background as a video game developer and a private astronaut who spent time on the International Space Station. On May 3, Robert Hulse, Director of London’s Brunel museum, will share insights into the life of Isambard Kingdom Brunel, who placed second in a 2006 BBC poll of “100 Greatest Britons,” and revolutionized modern engineering. Linda Hall Library is co-sponsoring this program with the Kansas City Chapter of the English Speaking Union. In addition, the Library will host Second Saturday Conversations each month through May with topics that highlight the impact of science and technology on our everyday lives. The March Second Saturday talk will discuss field guides for birds and will launch Drawn from Nature, the Library’s Spring exhibition complementing the Bartlett Lecture. Dr. Daniel Mack, Director of Baseball Analytics and Research Science for the Kansas City Royals, returns in April for a Second Saturday Conversation. Dr. Mack will discuss the use of Sabermetrics in assessing player potential. SOCIAL Science, an early evening series, will highlight professions that involve science, including crime scene investigation, aviation, and food science. All of the programs will take place in either the Library’s Main Reading Room or Auditorium. The events are free and open to the public; however, e-tickets are required. Go to http://www.lindahall.org to learn more about upcoming programs and to register for events. Saturday, March 12 (11:00 a.m. to Noon, Linda Hall Library) – “What’s That Bird? Choosing a Field Guide.” To kick off the new exhibition on birds, Eric Ward, Curator of the exhibition, Drawn from Nature: Art, Science, and the Invention of the Bird Field Guide, will explore the development of field guides in the United States and provide help in selecting the best guide based on experience level. Wednesday, March 16 (7:00 to 8:00 p.m., Linda Hall Library) – “Explore and Create: From the Beginnings of Computer Games to Private Space Flight” with Richard Garriott de Cayeux, a well known video game developer and entrepreneur and a self-funded private astronaut who spent 12 days in space on the International Space Station. 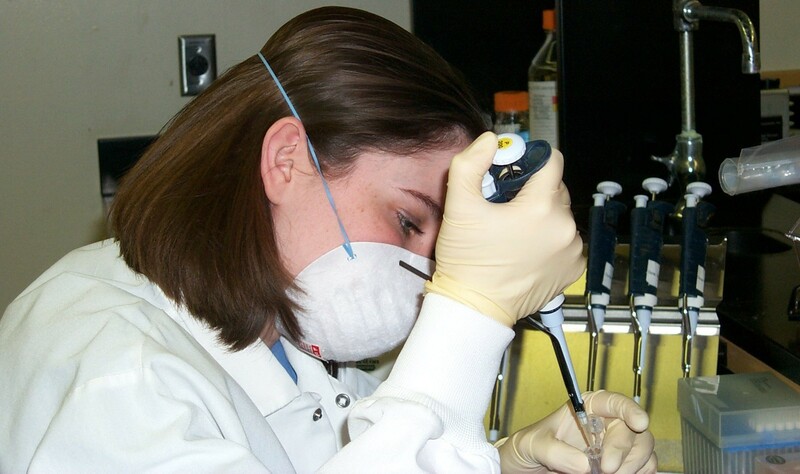 Tuesday, March 22 (5:30 to 6:30 p.m., Linda Hall Library) -- In “Forensic Science: The Real CSI,” Jennifer Howard, DNA Technical Leader for the Kansas City Police Crime Laboratory, will highlight what it’s like to work at the Kansas City Police Crime Laboratory, particularly the science and technology used to solve cases. Learn about a typical day for a forensic scientist with an emphasis on DNA analysis, as well as other aspects of the laboratory. Saturday, April 9 (11:00 a.m. to Noon, Linda Hall Library) -- Daniel Mack, the Director of Baseball Analytics and Research Science for the Kansas City Royals, will discuss baseball statistics that matter and how they change the way we assess baseball rosters. Thursday, April 14 (7:00 to 8:00 p.m., Linda Hall Library) -- The 14th Annual Paul D. Bartlett, Sr. lecture, “The Evolution of Beauty” with Dr. Richard Prum, an evolutionary ornithologist with broad interests in avian biology, will discuss beauty through bird evolution. Thursday, April 21 (5:30 to 6:30 p.m., Linda Hall Library) – Learn about the science and mathematics behind flying with local pilot Austin Hunt, who flies and manages corporate jets for a living and holds an airline transport pilot license, the highest level of license to fly commercial planes. Hunt serves as the Chief Pilot and Director of Flight Operations at New Century Air Service and is a Test Pilot at Dodson International Parts. Tuesday, May 3 (7:00 to 8:00 p.m., Linda Hall Library) -- Robert Hulse, MA, Director, Brunel Museum, co-author of The Brunel’s Tunnel. He worked with the Greater London Authority to organize the first public walks through the Thames Tunnel in 145 years. He is now working with Brunel Museum Trustees on an exciting new project to build a visitor center in Brunel’s Grand Entrance Hall. Isambard Kingdom Brunel, arguably, is Britain’s most famous engineer. He built the biggest ship in the world three times. He built the fastest railway in the world, a hundred bridges and the first river tunnel. In his lecture, Hulse will introduce this extraordinary Victorian Englishman and discuss the remarkable similarities he shares with 20th-century American architect, Frank Lloyd Wright, both of whom challenged the way people think about buildings and cities. Thursday, May 5 (5:30 to 6:30 p.m., Linda Hall Library) -- Sara Cox Clark will share her experience in the growing field of food science. Clark is Senior Manager of Food Science and Regulatory Affairs at Russell Stover Candies. Previously, she was Senior Scientist at Hill's Pet Nutrition, Director of Research and Development at Williams Foods, Inc., Manager of New Product Development at American Italian Pasta Company, and Senior Food Technologist at ConAgra Frozen Foods. Saturday, May 14 (11:00 a.m. to Noon, Linda Hall Library) – Join Kansas City area Star Trek authors Dayton Ward and Kevin Dilmore, as they discuss the show’s 50 years of lasting influence and inspiration of technology, science and culture. Follow the Linda Hall Library on Facebook and Twitter for updates on the latest in its programs and exhibitions, in addition to what's going on in science, engineering and technology. The Linda Hall Library is among the world’s foremost independent research libraries devoted to science, engineering, technology, and their histories. Founded in 1946 through an endowment by Linda and Herbert Hall, the library is a not-for-profit, privately funded institution, and is open to the public free of charge. Scholars, technologists, engineers, researchers, academic institutions and businesses, nationally and internationally, use the Linda Hall Library’s collections to investigate, invent, and increase knowledge. The Library’s holdings range from rare books to private papers, including extensive collections in diverse areas such as aeronautics, the history of food science, astronomy, Galenic medicine, engineering standards, a resource center for patents and trademarks and more. In addition to the libraries resources, hundreds of people attend the Library’s public programs throughout the year to expand their awareness and understanding of science and technology. To learn more, visit http://www.lindahall.org. Richard Garriott de Cayeux, award-winning computer game developer, space explorer, entrepreneur, philanthropist and adventure traveler, will be speaking at the Linda Hall Library on March 16, 2016. Jennifer Howard of the Kansas City Police Crime Laboratory, will talk about the science and technology used to solve cases, at the Linda Hall Library on March 22, 2016.